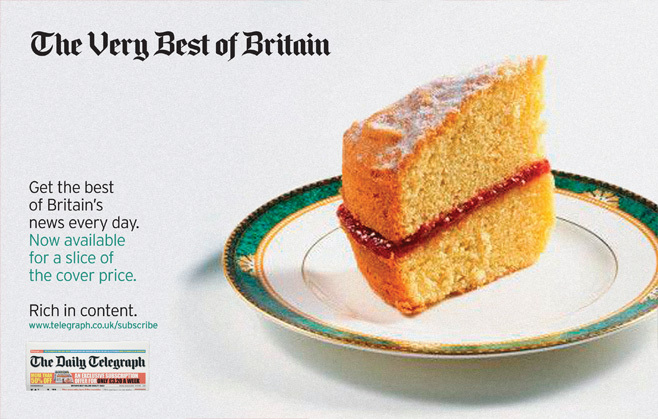 The Daily Telegraph is the UK’s biggest selling quality newspaper, with nearly 1 million readers every day. 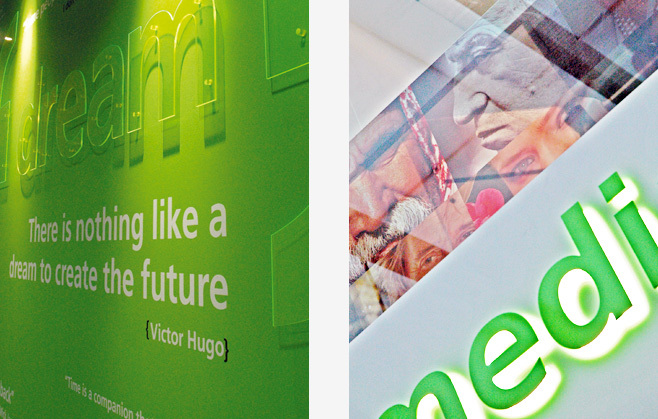 Through direct marketing and strategic branding, we’ve helped to ensure it stays that way. 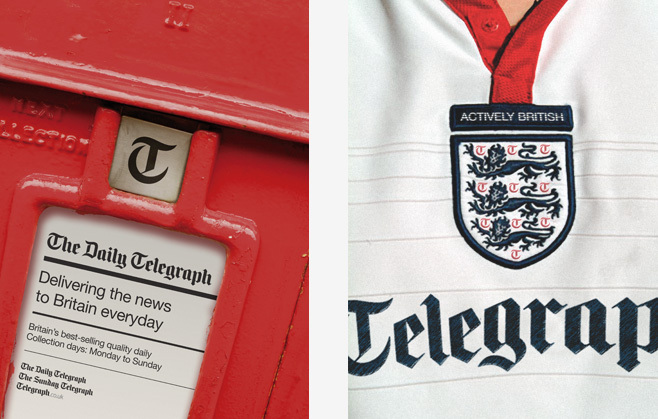 We’ve worked in partnership with the Daily Telegraph for many years, across a wide variety of media. 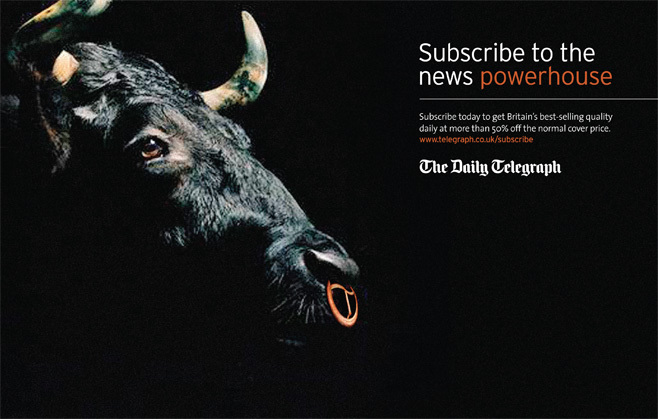 So when the Telegraph Media Group needed to rebrand itself as it moved into unchartered digital territory, they asked us to supervise the process. 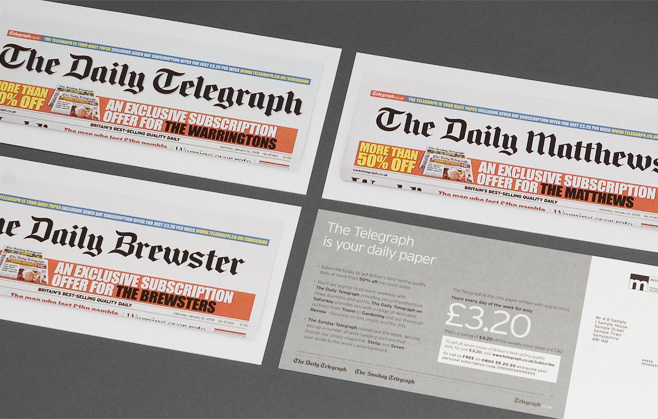 Our innovative DM and advertising ensures circulation remains high, and drives traffic to the online edition of the newspaper. The Telegraph experience has been further enhanced through the stunning environmental graphics we installed throughout their new Victoria offices.